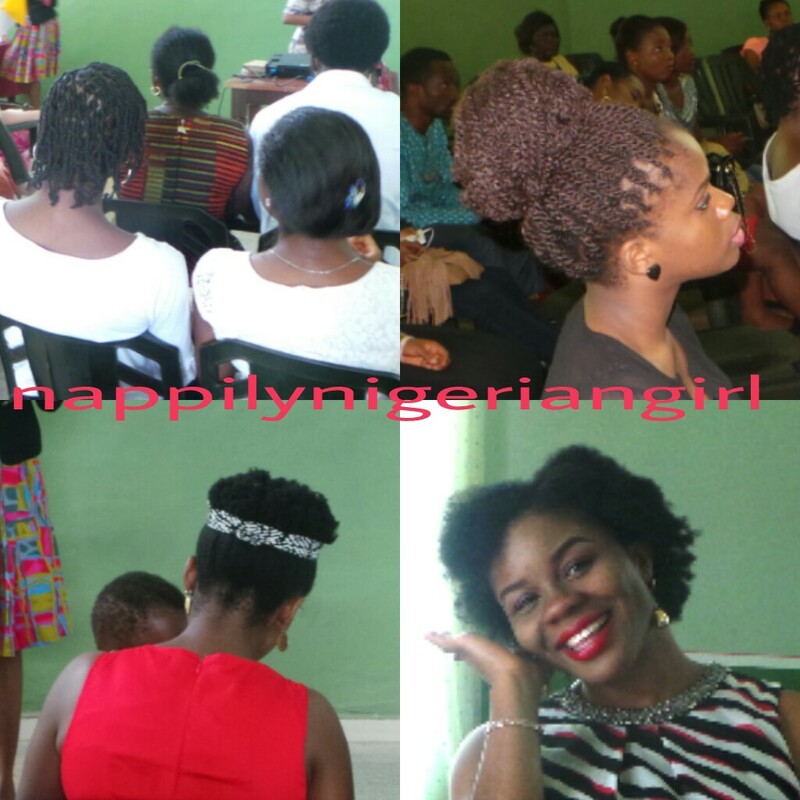 Saturday was full of naturalistas as we met up in Enugu State, Nigeria! 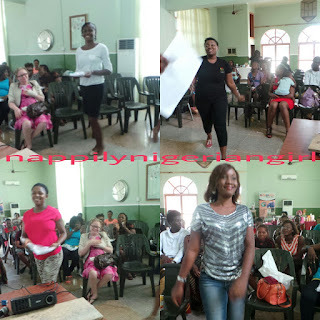 Enugu Naturalistas Meetup was organised by NaturalNigerian and myself. For the first time, naturals based in Eastern Nigeria could meet up and talk about healthy hair. The event took place at Tommylnn Hotels (Behind Robans Stores), Independence layout, Enugu, Enugu State-Nigeria on Saturday, 13th June 2015. 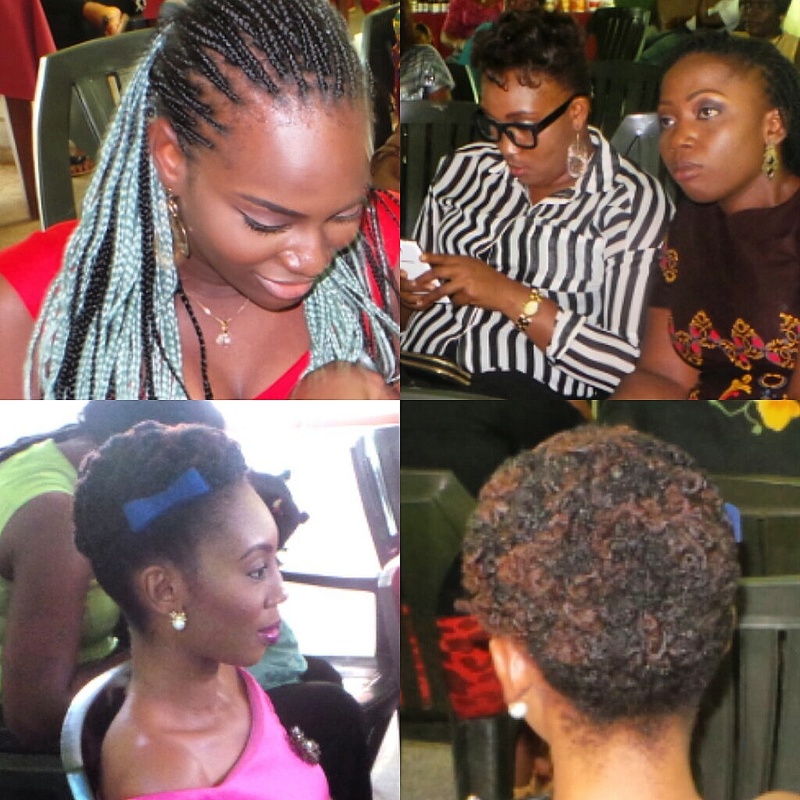 The theme of the meetup was "Mother and Child" to acknowledge the influence of mothers in cultivating healthy hair. Someone asked me why "Mother and child? Isn't the event for single people too?". My reply..."The world revolves around mothers. If you aren't a mother, you are someone's child and someday you might be a parent with your own children." Mothers were encouraged to come with their children and it was lovely to see little children with a love for their kinks!!!! NaturalNigerian brought her pretty daughter too!!! Three generations of naturalistas were present with grandmothers, mothers and their children. Daughters came with their mothers (Shout out to Chioma who all the way from the States told her mom and brother about the event), friends came together, husbands came with their wives and sisters came with each other. It was heartwarming. Our appreciation goes to all the mothers that made it with their children! I know it wasn't easy bringing your precious ones with you and to every beautiful and handsome attendee that made the meetup worth it!! You guys are awesome!!!! A special shout out to our vendors, our speakers, our giveaway sponsors, the hotel management and staff, friends and family and every single person that helped spread the word!!! The meetup was scheduled to take place by 1pm and people came in quite early!!! 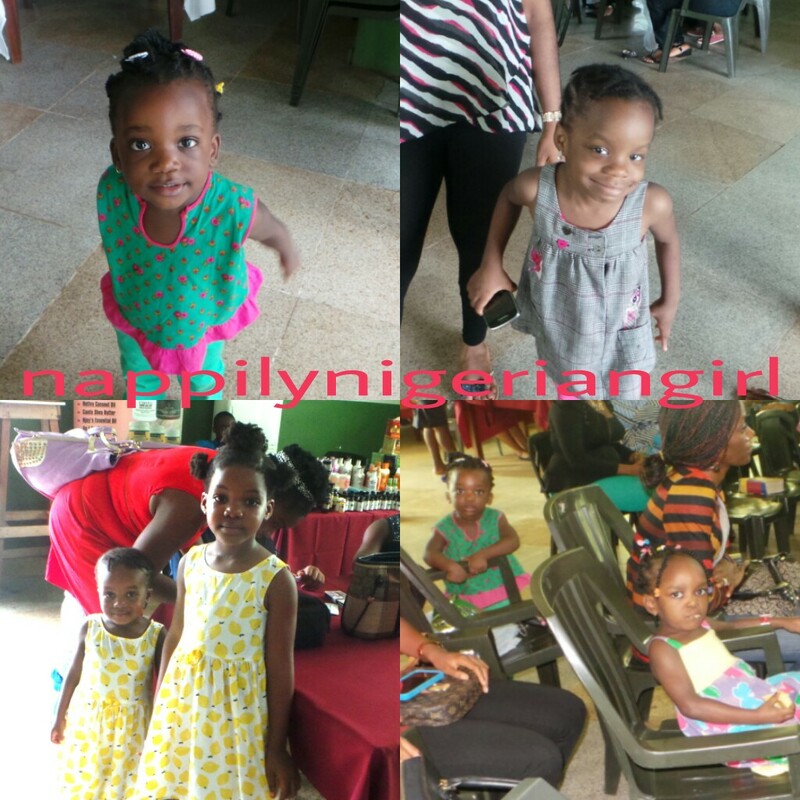 As promised, the first five attendees to register went home with a gift of NappyGirl Growth Enhancing Oil! Our beautiful ushers, Doris, Uduak, Chinelo and Blessing handled registration, seating and helped make our mothers and children comfortable. They contacted me by email to help out.They were very punctual and even dressed in the same colors!!! We really appreciate them! L-R Udy, Chinelo, moi, Blessing and Doris. - Pre pooing before shampooing helped make her hair less dry and more manageable. - Combining conditioning and deep conditioning steps in one after shampooing. - Styles for the workplace should be neat and not distract and never take a style to the office you haven't mastered yet. 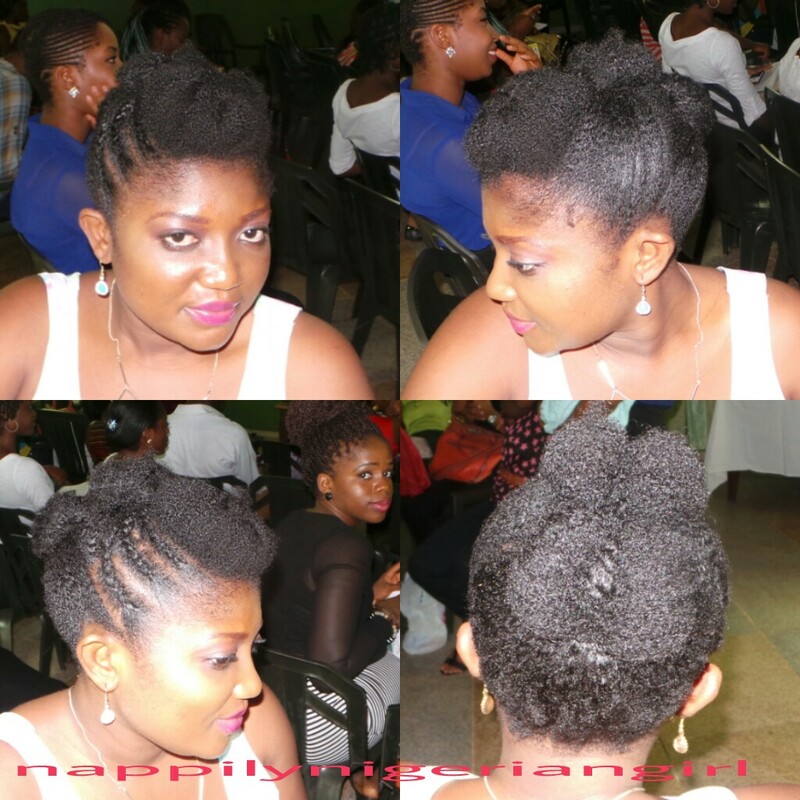 - Work with your length and texture while styling your hair. for example, if your hair texture can't pull off a twistout without poofing up, don't take it to the office. Do styles that work with you hair and make you look neat and presentable. Fena, CEO of Sleek Beauty Shop and MakeUp Studio, Awka - a professional makeup artist talked about "MakeUp for Naturalistas". 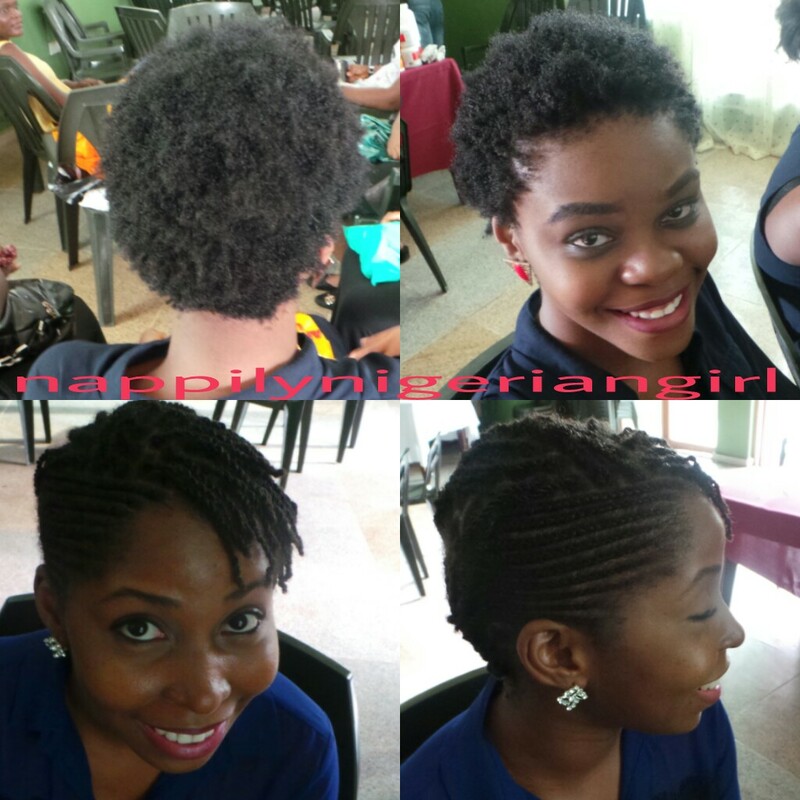 She shared her experience after her big chop. She said when she cut her hair, she felt exposed and was tempted to overcompensate with makeup and big jewelry just so she wouldn't look like a secondary school student. She shared tips for making up without going overboard. - Less is more. That your makeup shouldn't just keep attention on your face but allow people see the whole you. - For everyday makeup, all one needs are well drawn brows, subtle contouring with blush and a lip color in a shade or two brighter than your natural lip color. - Mineral makeup and powders are good for the skin. For those of us that want to avoid parabens in makeup, she suggested affordable makeup brands such as Milani Minerals. I was the last to speak and I talked about the "Simplifying your natural hair regimen". 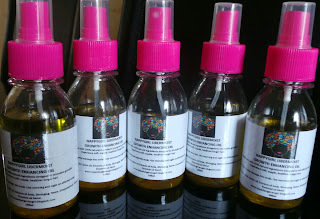 I shared tips on selecting the right products for your hair, adapting your hair regimen to your schedule and simple tips to make natural hair care pleasant for children. - The big five...shampoo, conditioner, leave in, styler and oil and how you can make them work to simplify your regimen. - Deep conditioning treatments are the spa treatment for your hair and if you are a DIYer, heat your honey before use to prevent lightening of your hair. - Body art henna which is known as Lalle in Nigeria can be used to strengthen weak, breakage prone hair. We had a mini tea break then we went right into our giveaways! Five Healthy Hair Kits proudly sponsored by TwentySix85.com (a natural hair products shopping site) and I were up for grabs. 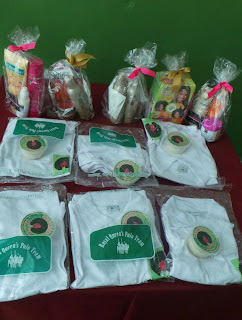 Also 6 Polo Shirts and Yummy hair butter were proudly sponsored by NwenexNaturals (a natural hair products company). This meant there were 11 prizes to be won....which increased the "odds in everyone's favor"!!!!! All tickets were put into a bag, shaken thoroughly by me (until the attendees begged me to stop saying it was reducing their chances of winning) and NaturalNigerian did the honors of picking out the winners! Then my favorite part....shopping!!!! 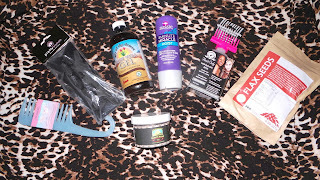 Sizzelle Stores and NaturalNigerian provided our product junkie fix! NappyGirl UberMoist Hair Treatment Kits were also available!!! So that's it in words!! Now the pictures!!! These pictures would not have been possible without the help of my friendster (a friend who is like your sister), Kay!!! You may have seen pictures of her on my blog during her transition to natural hair. Baby naturalista came with mummy! These sisters came with their mom. She's rocking the afro better than us abi! Can you guess the little girl that asked us what happens if you relax your hair and don't take care of it?? The mom in pink just had a baby about three days ago and made it to the event to shop for her little girl! I was touched! Super mom!!!! Looking forward to our next event!!!! Congratulations on your first event! Looks like it was fun. Thanks Berry! I couldn't have done it without the meetup master's (NaturalNigerian) guidance! Wow, this is truly impressive educating people round Nigeria on hair care, not just Lagos and Abuja- long over due. Well done! Yes o! I love that the meetups are coming to other states. Glad it went well. Congrats and well done. Thank you, AN! hope you'll be able to make it to the next one! Hi Chioma!!! Your mum and bro had beautiful natural hair! Thanks for the shoutout! I'm happy it went well!